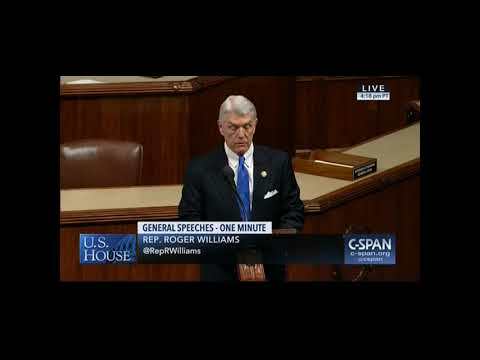 WASHINGTON, DC – Congressman Roger Williams (R – Texas) today invited high school students residing in Texas’ 25th Congressional District to participate in the annual Congressional Art Competition. Each spring, a nation-wide high school art competition is sponsored by the Congressional Institute. The Artistic Discovery Contest is an opportunity to recognize and encourage the artistic talent in the nation, as well as in our congressional district. All entries must be: two-dimensional; framed; and weigh no more than 15 pounds (including frame) and measure no more than 26 inches wide by 26 inches tall by 4 inches deep (including frame). Entries must be original in concept, design, and execution and may not violate U.S. copyright laws. Any entry that has been copied from an existing photo or image (including a painting, graphic or advertisement) that was created by someone other than the student is a violation of the competition rules and will not be accepted. "We thank Rep. Williams for voting to defend and advance faith, family, and freedom. As a 'True Blue Member' he voted 100% on FRC Action's Scorecard including protect babies who are born alive after a failed abortion, help hard-working families set aside funds for an unborn child’s future education, and defund the individual mandate in D.C.
Williams: The crisis at the border: Do we have the courage to act? The question about our nation’s border security is not whether there is a crisis; there is. The question is, do we have the political courage to do something about it? How serious is the crisis? Hundreds of thousands of illegal immigrants attempt to penetrate our vulnerable southern border each year. These criminals are trafficking people and drugs, and ultimately, causing mayhem in our local communities. While our Immigration and Customs Enforcement (ICE) agents and Customs and Border Protection (CBP) agents are working hard to protect this nation, we are asking them to do more with less. President Donald Trump took a stand to get them the resources they need, and I commend him for his dedication to the protection of the United States of America. To garner an adequate amount of funding after Congress failed to do its job, the president had no option but to declare a national emergency to draw on unused funds from other federal agencies. While I am disappointed that President Trump had to make this call at the fault of my liberal colleagues, I support him and his decision. He is continuing to put America first by making border security a top priority throughout this presidency. Make no mistake, while I will always support President Trump using any and all means necessary to secure our border, I am also monitoring the status of the money given to Fort Hood, which I represent, for necessary military construction on barracks and other facilities. While the concern of those funds being forfeited is legitimate, Acting U.S. Defense Secretary Patrick Shanahan has stated that military housing funds will not be touched, and I will do everything I can to ensure that promise is kept. The president has made it clear that the security of our southern border can no longer fall to the wayside. While he is working hard to find solutions to this crisis, unsurprisingly, the left is using this opportunity to spout empty rhetoric regarding a joint resolution of termination to end the emergency status, which would be nothing more than political grandstanding against their president. After looking at these numbers – after looking at the facts – how can Democrats actively oppose the president’s request to provide adequate funding to secure the southern border? How can Democrats go back to their hometowns and tell their constituents that they are fighting to protect them from illegal criminals, when all they are really doing is protecting themselves from the backlash of Nancy Pelosi and the power she holds over them as Speaker of the House? The answer to all those questions is that Democrats hate their president more than they love their country. The Nancys and Chucks of the world would rather watch countless immigrants attempt to illegally cross our southern border and put American lives in danger, than help the president do what is right and what he promised. The undertaking of securing our borders is no longer an option. President Trump is showing real political courage and doing the right thing to protect our country. It is past time for Democrats to get on board. A Republican, Williams represents Austin in the U.S. House of Representatives. “Tonight, President Trump delivered a strong message that reminded us of how far this nation has come under his administration. We’ve passed historical, pro-growth policies that have resulted in a thriving economy that is benefiting all Americans. Just recently, the January Jobs Report revealed that the economy added 304,000 jobs last month, for a total of over 4 million employment opportunities created under the President’s leadership. Unemployment levels are also at a historic low. Together, our pro-American agenda is making a difference in everyday-people’s lives. “I am honored to have been selected by Republican Leadership and Ranking Member Patrick McHenry to serve on the House Financial Services Committee for a third term. Having been a small business owner for 40 years and serving on this committee for four years, I know how vital the role is that we play to protect hardworking Americans and Main Street. WASHINGTON, DC – Congressman Roger Williams (R – Austin) today introduced a House resolution honoring the life and legacy of Richard Overton, the nation’s oldest World War II Veteran and Austin-resident, who passed away at the age of 112 on December 27, 2018. Texas Senators Ted Cruz and John Cornyn introduced the Senate companion resolution on January 9. You can read more about it here. AUSTIN, TEXAS — Richard Arvin Overton, the nation's oldest living war veteran — and the oldest man in the U.S. — died Thursday in Austin at the age of 112 after a bout with pneumonia. Born near Bastrop, Texas, on May 11, 1906, Overton served a three-year stint in the U.S. Army during World War II. He fought in the 1887th Engineer Aviation Battalion during WWII, serving as a corporal in the South Pacific. Overton joined his all-black military unit in 1942, and became a skilled sharpshooter. After the war, Overton built a home in East Austin where he a neighborhood fixture usually out on his front porch puffing on a cigar while holding court as admirers spontaneously dropped by to meet him. "His front porch is his everything," Volma Overton, his septuagenarian cousin who helped care for him, once told the Washington Post. "It's his throne. In interviews with myriad media outlets, Overton spoke of his fondness for cigars in which he indulged daily — sometimes up to 12 smokes a day, he would note unabashedly. In interviews, he often credited his love of stogies, along with a splash of whiskey in his morning coffee and a steady diet of fried catfish and ice cream as secrets to his longevity. He also expressed a fondness for Dr. Pepper. He outlived two wives and close family members, and received countless honors and accolades along the way — including a 2013 visit to the White House where he met President Barack Obama as a relative youngster of 107. He met Obama at the White House for breakfast ahead of a Veterans Day ceremony at the National Cemetery where he was honored. "His service on the battlefield was not always matched by the respect that he deserved at home," Obama said at the time. "But this veteran held his head high." Overton earlier this year came close to losing his home in East Austin — once an enclave largely inhabited by a black and Latino working class that's been swept over by gentrification for the better part of a decade or so as an influx of younger residents are lured to trendy restaurants and bars and plentiful luxury apartments where single-family homes once stood. Gentrification-fueled spikes in property taxes threatened to render Overton unable to afford staying in his home, and he faced the likelihood of spending his final years in a nursing home. But in a sign of the depth of affection residents of Austin — and admirers far beyond the city limits — had for Overton, a GoFundMe campaign designed to keep him at his home ultimately would raise more than $450,000 for 24-hour-a-day home care. From near and far, people expressed their condolences late Thursday as news of Overton's death spread. Gov. Greg Abbott called the late veteran "...an American icon and a Texas legend" in a prepared statement, adding his and his wife's voice in expressing sympathies. "With his quick wit and kind spirit, he touched the lives of so many, and I am deeply honored to have known him. Richard Overton made us proud to be Texans and proud to be Americans. We can never repay Richard Overton for his service to our nation and for his lasting impact on the Lone Star State. On behalf of Texas, Cecilia and I offer our thoughts and prayers to his family and friends." U.S. Rep. Roger Williams, representative for Texas's 25th congressional district, also issued a statement in reaction to Overton's passing: "I join the Austin community and the entire country in mourning the loss of a great man, and our nation's oldest veteran, Mr. Richard Overton. Throughout my time in Congress, I have had the honor of getting to know Mr. Overton very well — sitting on his porch and listening to him tell stories are memories I will never forget. I am thankful for his service to our country, and I am eternally grateful to have had him in my life as a friend and role model. I will miss him dearly and will continue to pray for his family during this difficult time." State Rep. Lloyd Doggett of the 35 District of Texas, added his voice via Twitter: "Saluting Richard Overton for his service, spirit, and longevity. One of the last of our World War II vets has passed away at age 112. Pleased that he could share so many honors late in life, including, here, my getting the healing garden at our veterans clinic named in his honor." 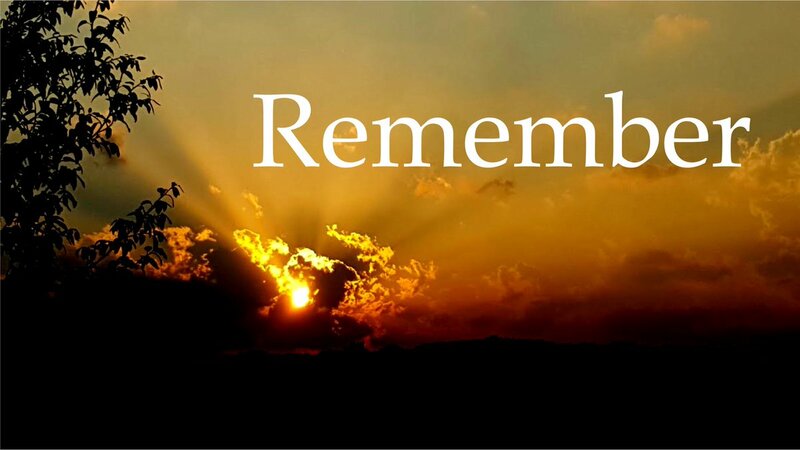 The U.S. Army paid tribute via social media as well: "Today we mourn not just a hero, but a legend. The oldest American #WWII Veteran, Richard Overton, died at the age of 112. Our thoughts and prayers go out to the Overton family. He was a hero to us all. May you rest in peace Sir." In its own dispatch announcing the death, the venerable Stars and Stripes newspaper put Overton's long life in historical perspective: "Richard Overton, the oldest-living veteran, was born on May 11, 1906, the same year as the first wireless radio broadcast, and a year before Oklahoma became a state. He died Thursday at the age of 112." In 2015, Austin filmakers Rocky Conly and Matt Cooper made a short film about Overton. In the opening moments of the film, the then-109-year-old Overton noted with palpable drive he had just had his driver's license renewed. "I still walk, I still talk and I still drive," he said. "Yeah, I've had a lot of people say God kept you here to help others. But I don't know why he kept me here. I can't tell you." 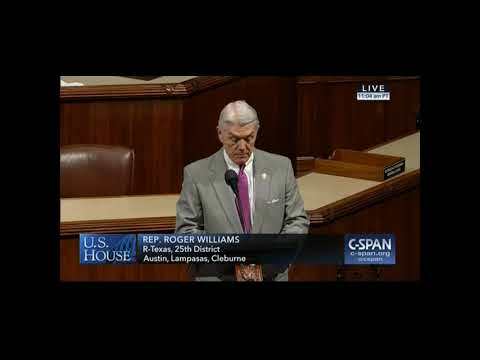 Roger Williams represents the 25th District of Texas in the United States Congress, a district that stretches from Tarrant County in the North to Hays County in the South and includes much of Austin and the Texas Hill Country. Prior to his election in November 2012, Congressman Williams served his country in a number of ways and brings a unique background to Congress. He was raised in the Fort Worth area where he graduated from high school and later played baseball at Texas Christian University. After graduating from college, he was drafted by the Atlanta Braves where he played in their farm system before an injury ended his sports career and forced him to begin his business career. He began working in the family car business and has owned and operated the business for 40 years. Along the way, he also became involved civically and politically. He served as Regional Finance Chairman for Governor Bush in 1994 and 1998 before he went on to later serve as the North Texas Chairman for the Bush/Cheney 2000 campaign. Additionally, as well as the North Texas Finance Chairman and National Grassroots Fundraising Chairman for Bush/Cheney ’04, Inc. Williams was appointed by President George W. Bush in 2001 as the Chairman of the Republican National Finance Committee’s Eagles Program. He has also served as State Finance Chair for John Cornyn for U.S. Senate, Inc., in 2002 and as the National Director of the “Patriots” program for Senator Cornyn. In 2005, Governor Rick Perry appointed Congressman Williams to serve as Texas Secretary of State. As Chief Election Officer for Texas, he worked to ensure the uniform application and interpretation of election laws throughout the state. The Congressman worked tirelessly to promote economic development, investment and job creation in Texas. He also served as the state’s Chief Liaison for Texas Border and Mexican Affairs as well as Chair of the state’s 2005 Base Realignment and Closure Response Strike Force. 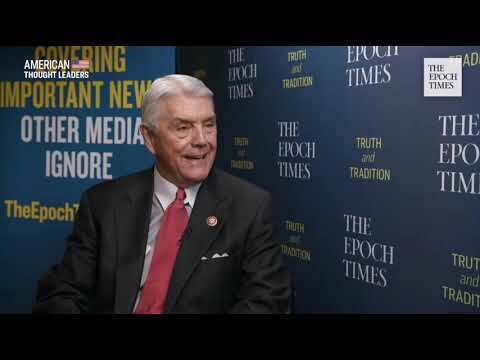 Congressman Williams was elected to his first term in Congress on November 6th, 2012 and was selected to serve on the House Committee on the Budget, along with the House Committee on Transportation & Infrastructure.